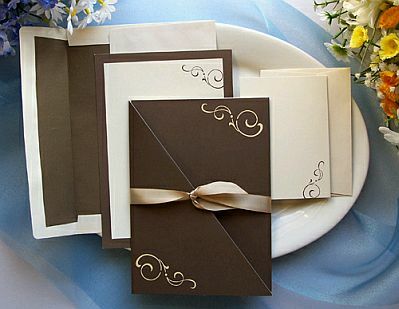 A favorite for wedding decoration color is brown, this is still very elegant and sophisticated and usually look good in every detail, so we present some models of wedding invitation cards color brown. 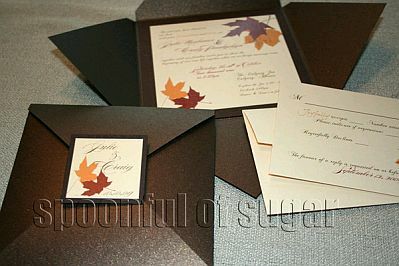 This first model of wedding invitation envelopes combines dark brown with cream-colored cards and orange and red leaves. 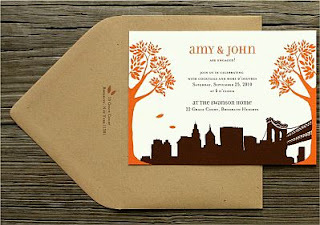 Another cute model of wedding invitation envelope is cream colored and the card has the silhouette of a building, brown color, while the lyrics, and the trees of the ends are orange. 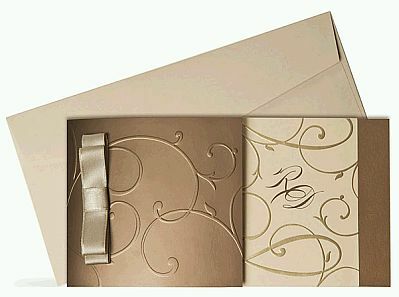 We have brown envelopes and cards with yellow letters on this proposal of wedding invitation. 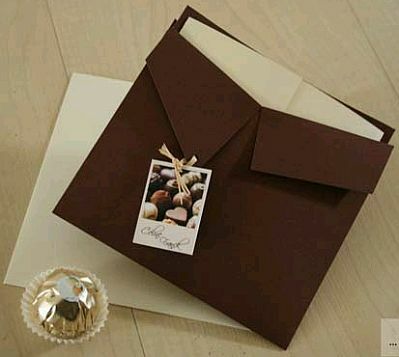 Elegance and good taste are two adjectives that describe this card made of brown and cream, on the outside you have a delicate bow. If you want to use flowers on your invitation cards, this is an excellent way to do this, it is original brown leaves that blend perfectly with the background of the card is off-white. 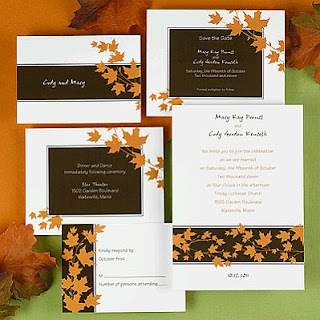 If looking for something with more life, it is possible to do, you can see in the following image, the brown color of the central part of the invitations, combined with white outlines and orange leaves. 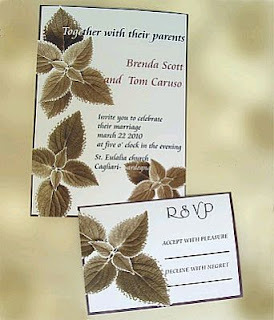 And if you decide something more sober and with very little color, this card meets those demands. 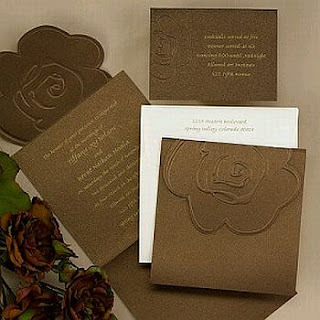 The high reliefs used in wedding cards, always gives good results, and in this case where the background color is light brown, the effect is even better. 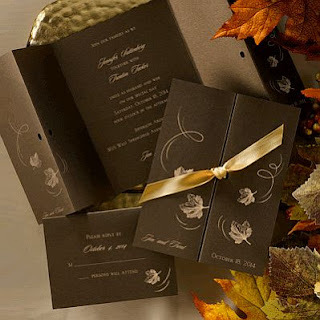 Another sample invitation in brown, with letters and decorative in cream and gold, bow on the front. 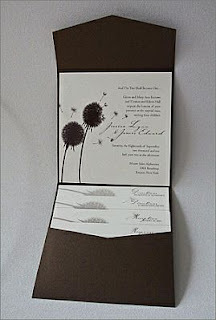 Finally, original wedding invitation card, envelope, quite asymmetrical cut, is brown, while the interior cards are creams. I hope you have enjoyed these ideas.